Zach Mettenberger has come a long way to be where he is today, as potential late first round or early second round pick. Here is the story of how he got there. Coming out of high school he was considered a four star recruit by both Rivals and Scouts being Rivals #11 QB and Scouts. He threw for 19 TDs and 6 Ints his senior year at Oconee County HS,Georgia and was offered scholarships by Boston College, Florida St and Georgia. He ultimately decided to stay in state and commit to Georgia. Once he reached Athens he was immediately thrust into battle with fellow recruit Aaron Murray for the starting job. 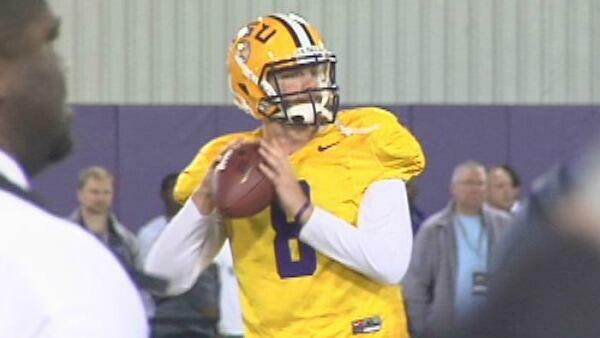 This competition came to an end when Mettenberger was kicked off the team for no apparent reason at the time but it subsequently emerged that he was involved in a sexual battery case and received twelve months probation for it. 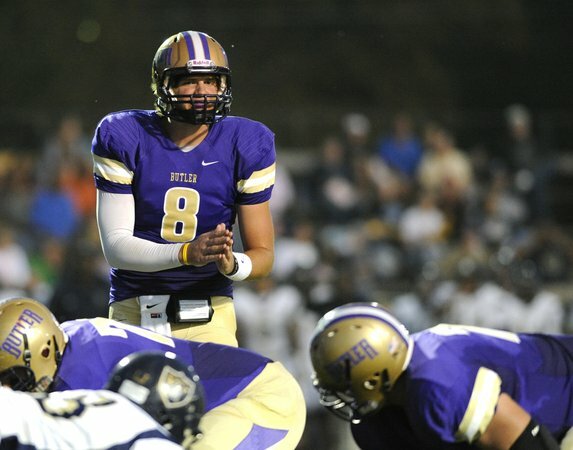 After being kicked off the team he spent the year you have to sit out of the FBS due to NCAA rules in Butler Community college where he threw 32 TDs and 4 INTs with 2678 yards. After the season he was considered the no.1 junior college prospect and got offers from Alabama, Texas A&M, Louisville, Arkansas, Arizona and others before ultimately deciding to settle in Baton Rouge with the LSU Tigers. In the two years previously LSU had struggled with interceptions from starting QB Jarrett Lee and was near the nation’s bottom in total offence and passing offence. Mettenberger lost out to Jordan Jefferson for the starting job in that famous season as Tigers played Alabama in the game of the century and went undefeated and reached the National Championship where they were shutout by the same Bama team. 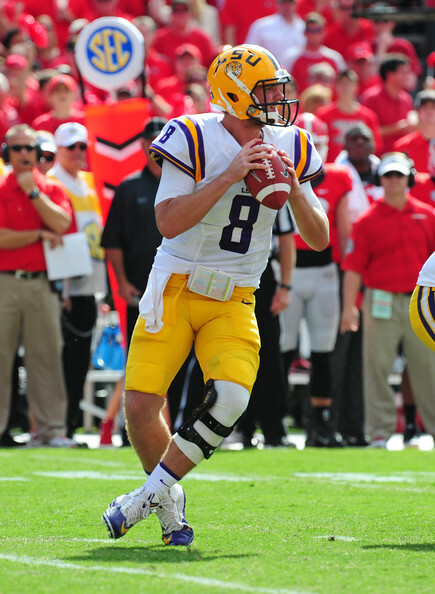 Coming into the next year expectations were high in Baton Rouge with the talented Mettenberger taking over and some believing they could return to BCS National championship game. Although LSU relied a lot on the run game throughout the year Mettenberger had mediocre year throwing for 12TDs and 7NITs. He struggled at times particularly against Texas A&M where missed wide open receivers but also showed promise in games like the ‘Bama game throwing for 298 yards on Nick Saban’s feared defence. The Tigers finished the regular season 10-2 and lost to Clemson in the Chick-Fil-A in Atlanta by a point 25-24. His final season with LSU was a marked improvement as the culture in Baton Rouge changed from a defensive one the year before to offensive one as eight defensive starters leaving for the NFL most notably Barkevious Lingo and Eric Reid. 2013 was also QB guru Cam Cameron first year in LSU and he worked wonders with Mettenberger as he looked a more improved and rejuvenated player when he returned. LSU started out strong winning their first four games in a row including handing national championship game runners up their only regular season loss. 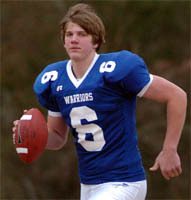 Then the stage was set as Mettenberger, the prodigal son returned to play Georgia in his last year in college in Athens to face Aaron Murray who had beat out for the starting job 5 years previously. The game lived up to billing as a shootout and went down to the wire with Georgia prevailing 44-41 in the end but Mettenberger still gave glimpses of what might have been in Athens. After that it was a mixed season with Mettenberger and receivers Odell Beckham and Jarvis Landry flourishing under Cam Cameron new system with both ending up with more than 1100 yards on the season but losses in conference to Alabama and Ole Miss hampered any BCS thoughts. Mettenberger draft stock rose considerably throughout the season until he was ranked the 3rd best QB heading into LSU final regular season game. Update- Mettenberger was drafted by the Tennessee Titans in the seventh round and should have plenty of opportunity with Jake Locker is in the final year of his contract and gets to work with QB guru Ken Whisenhunt. Here at RW designing we thought that you would be interested to know that you can buy unique and original gift items related to American football. Of course, there´s no obligation to look but you might see something of interest. Nice stuff, just out of curiosity how did you find me?